This funky little number is from the Aaron Basha Charms collection. 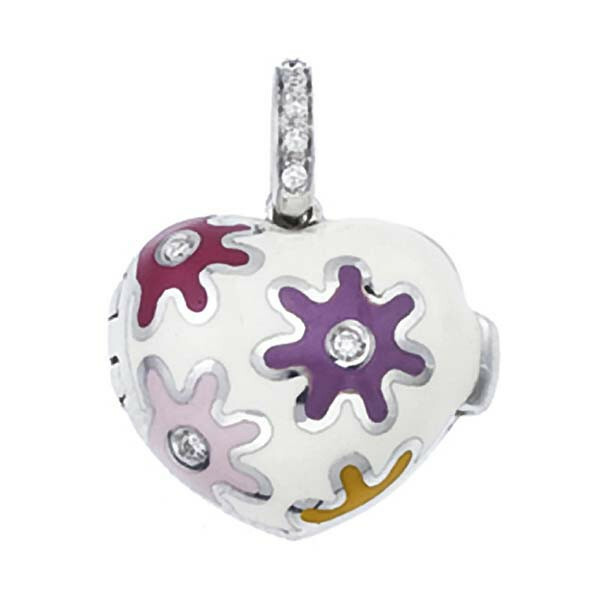 An 18kt white gold heart is covered with white enamel detailed with colorful flowers. Luminous diamonds line the bail and are the center of each bloom, giving the piece a little sparkle. Personalize this small locket as you see fit; it makes the perfect complement to any charm bracelet or necklace!